I recently created these black window cards with flowers fresh out of the press. They are 5" x 7" in size and can be inserted into a 5" x 7" frame. 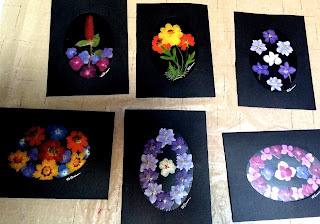 I typically charge $5.00 each for my original pressed flower cards. I hope you like them.